Being charged with drunk driving in a school zone certainly doesn’t make you a bad person. You might not have even known that you were driving in a school zone at the time. 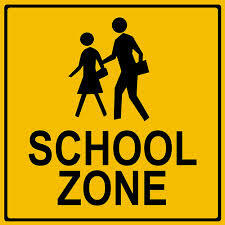 Unfortunately, DWI in a school zone is a strict liability offense, which means that your intent doesn’t matter; you can be found guilty simply by virtue of being impaired while operating a motor vehicle within 1,000 feet of a school. Worse yet, NJ prosecutors interpret the law very broadly so that practically any area can be considered a school or a school zone. 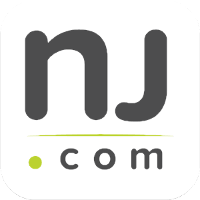 In addition, a DWI in a school zone charge essentially doubles the penalties you are facing on a regular DWI offense in New Jersey. The Tormey Law Firm is a team of DWI defense lawyers that understands how important it is for you to avoid getting a drunk driving conviction on your record. We have handled thousands of DWI cases in New Jersey, including Bloomfield, Montclair, and everywhere else in Essex County. The firm’s founding partner, Travis J. Tormey, is a certified DWI Alcotest 7110 operator, which means that he knows how to challenge the evidence in your case. Additionally, our DWI team includes a former county and municipal prosecutor who understands how NJ prosecutors build their cases. If you’ve been charged with a DWI offense such as DWI in a School Zone or Refusal in a School Zone, it is imperative that you speak with an experienced DWI lawyer immediately. Our experience in the courtroom has translated into a track record of success in DWI cases. Call the Tormey Law Firm today at 201-654-3464 to get a winning DWI lawyer on your side. The Tormey Law Firm’s drunk driving defense team is prepared to build a strong defense to your DWI in a School Zone charges and help you maintain your driver’s license. Call us today at 201-654-3464, or fill out the online contact form to schedule a meeting at our office in Newark.